As designers, we’re constantly growing and challenging ourselves. Design is always about moving forward with fresh new ideas, but we often forget how much our skills change throughout the years. For many, looking back at our early work can be quite embarrassing, so we tend to shy away, burying it deep within the chasms of a hard drive never to be seen again. 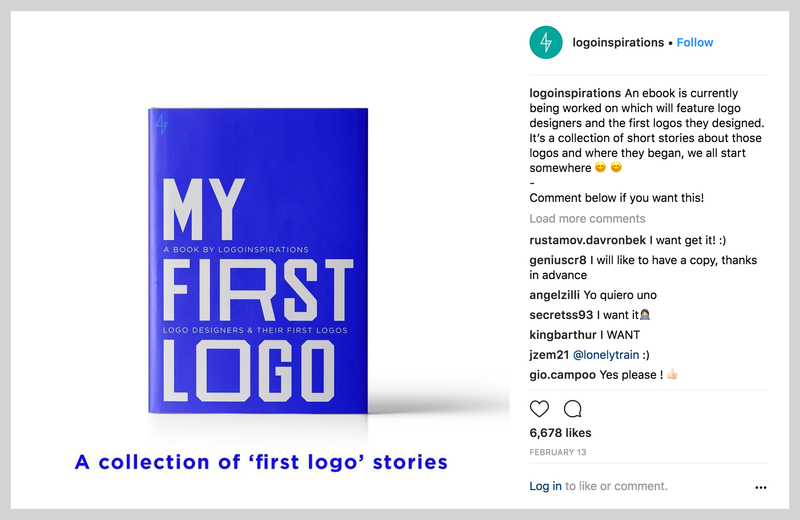 My First Logo is the first ebook by LogoInspirations, it's an ebook featuring logo designers and the first logos they designed. It was created as a means to inspire new designers who think they aren't good enough. We want to show you that professional designers were all beginners as well. It's intriguing to see how far they've all come and how hard work and practice really pays off. This is a screenshot of when the ebook was announced on Instagram. LogoInspirations is a curated platform promoting the best logo designs from around the world.